Bovine TB: "We can't tell which badgers are infected" say Defra. "We can't tell which badgers are infected" say Defra. 7.9.5 We also recommend that the scope for using modern DNA amplification techniques, such as the polymerase chain reaction (PCR), for diagnosis should be further explored. The PCR is quicker than microbial culture and can detect the remnants of dead bacteria in addition to living organisms. If sufficiently sensitive, we see two applications for such a test. (i) It could provide rapid screening of samples from badger carcases. We suggest MAFF should consider whether this might be an alternative to culture. We estimate that existing assays could be optimised within one to two years. 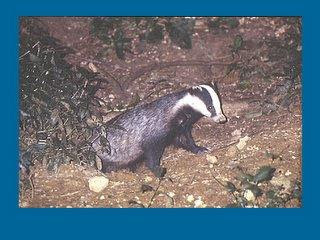 (ii) MAFF could monitor the presence and distribution of infection by environmental sampling of areas used by badgers. It is said that a week is a long time in politics, but that 2 years to identify badgers infected with zTB has stretched to almost twenty. In 1996, when Lord Krebbs made that pronouncement, Great Britain slaughtered 3,776 cattle as TB reactors. But the work into PCR and zTB continued and in 2005 / 2006 Defra having risen from the ashes of the previous ministry label, MAFF, screened many farmland mammals - [link] using this method. The reports were SE3009 and SE3010 and they cost £1.954 million. In 2006, Great Britain slaughtered 22,062 cattle as TB reactors and introduced pre movement testing and tabular valuation. It was to try and push forward a reliable live screen for these charming animals. In 2012, Great Britain slaughtered 37,735 cattle as TB reactors, Defra ratcheted down hard on cattle movements and zoned our country into areas of 'risk' for zTB. Their 'Edge' area is moving further northwards and eastwards, annually. 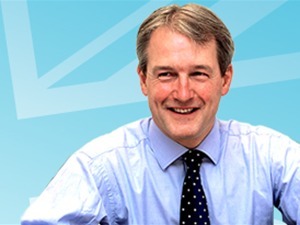 The then Secretary of State for Defra, Owen Paterson MP, (above) liked the idea of a targeted cull and after learning of her previous work, commissioned Professor Wellington's team - [link] to conduct a wider field trial of their qPCR method, to see if it correlated with the known health status of badgers in Woodchester Park. This was SE3280 which when published in 2014, also showed the most cost effective way of identifying infected groups, the number of samples needed, how they were collected and when. At the same time, Warwick's qPCR was and is, being used in the Republic of Ireland, comparing the findings of this test with mortem results for badgers caught in their reactive TB culls. It will report in due course, but we understand that as with the alpaca project, using correlation between visible lesioned, culture positive animals, this test is doing well. However, after questions were tabled in the House of Commons about this method of screening, the fire blanket of 'we can't use it and it won't work' was given and yet again qPCR for identifying infected badger setts was on the back burner. Somewhat prematurely we feel. Meanwhile, other organisations other than Warwick's team, had developed screening PCR tests which were said to be delivering wondrous results, so in June 2014 Mr. Paterson set up a comparison trial to find the best. This project was not the usual exercise in prevarication; it was a genuine attempt to seek out the best performing test, refine if necessary and to take it forward for routine use. It cost £360,065 and was labelled SE3289. Samples were either 'putatively' (thought to be or assumed) positive or spiked with a known quantity of m.bovis, or 'putatively' (assumed) negative or taken from captive badgers. The samples were distributed to individual laboratories, who tested them according to six candidate's screens and then reported results to a statistician. No badgers were harmed during the trial. Or post-mortemed. The results showed Test B (Warwick's qPCR) as the best performing of the 6 offered, having fulfilled 3 out of 5 criteria, and 4 out of 5 when spiked positive samples were substituted for those 'putatively' positive. And the one 'borderline? That was specificity - false positives at group level on the 'putatively' negative samples offered. Warwick's qPCR screen found by trial and error that to achieve a safe sensitivity (ability to detect disease) together with an acceptable specificity (few false positives) then certain criteria had to be followed. 1. A minimum of 20 samples, taken on non consecutive days. The blinded trial used 10 samples. 2. A minimum of 1000 units of m.bovis to work with. The blinded trial allowed 100 units many 'putative'. 3. An optimum 15 per cent background prevalence of infection. The trial used 10 per cent. This trial could be compared to using a recipe to make a loaf of bread, and adding half the amount of yeast the recipe demands: then being surprised when your loaf doesn't rise to the occasion. But we digress. So Test B achieved 4 out of 5 of the criteria set by Defra, which considering the way in which it was watered down, is amazing. But what happens when it is reworked, using the protocols which the Warwick team have spent long years refining?
" the Sensitivity of Warwick's qPCR is 95.5 per cent and the Specificity 98.2 per cent." Having described the Warwick test's performance as 'the best performing' of the 6 offered, and it having met 4 out of 5 criteria, using half the samples, one tenth of the bacteria it was designed for and at a lower assumed prevalence than optimum, what is its future? "The results of this inter-laboratory comparative study provide objective data on the relative performance of the diagnostic methods assessed. 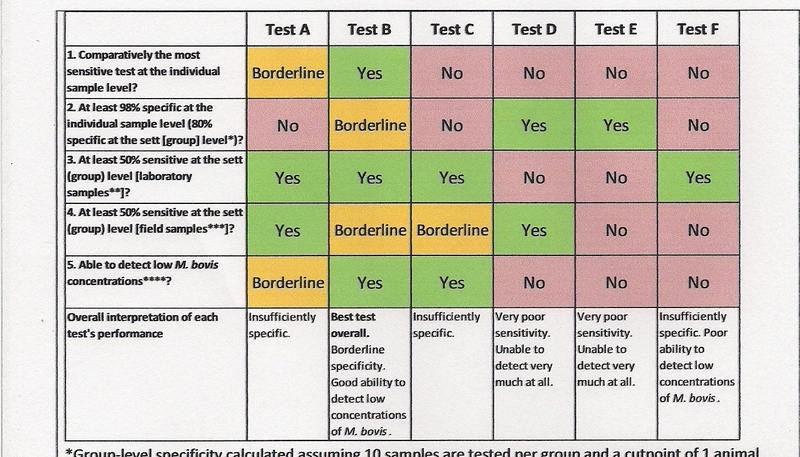 Only one test appears to be potentially suitable for taking forward to routine use. 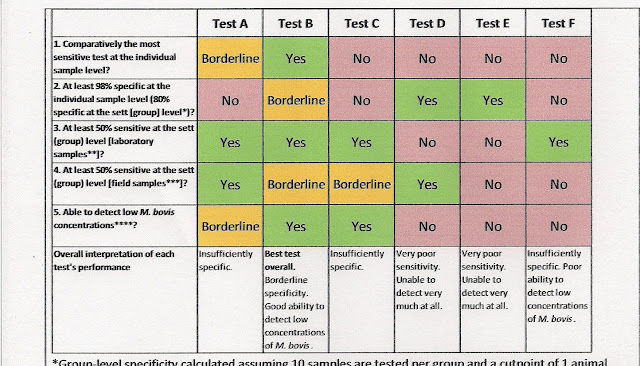 However, its borderline performance against some criteria highlight areas which may need further assessment and validation to fully understand the performance characteristics and utility of the test and hence determine if, and how, it could be best used practically. The potential practical use of a badger faecal test will also depend on future Defra policy and how the use of this test would fit alongside other interventions and control policies. To support such decision making a cost benefit analysis maybe useful to provide more information on the cost of this approach relative to other options." We would point out that three years into 25 year TB eradication plan, only three small areas have been licensed for indiscriminate culls. As far as we are aware, there is no follow up planned for Somerset and Gloucestershire who finish their pilot culls next year. And apart from a small area of Dorset, there are no more in progress. Meanwhile several areas are vaccinating badgers, any badger they can trap, regardless of its health, a concept which Defra say they are keen that farmers accept and are 'pump priming' them to do so. BCG is now is very short supply and the World Health Organisation has advised rationing its use - for human beings. Cattle controls rain down in buckets and measures which made herd restrictions livable with, are being dismantled, brick by brick. Many farmers and certainly the general public are far more likely to embrace a cull of badgers which targets diseased animals, rather than a hit and miss affair, accounting for 70 per cent of animals in a given area but which might possibly fragment social groups. The only driver for culling any animal should be the presence of disease. And this test used correctly, will show where that is in our increasingly infected wildlife reservoir. FERA estimate that in areas of endemic zTB, 50 per cent of badgers are now infected with this disease. Bearing down with ever more stringent cattle controls has had no effect whatsoever in the past, and from 1996 when Lord Krebbs first referred to the use of PCR for this screening purpose, in almost two decades of repeating this futility, the number of cattle slaughtered has increased tenfold, from 3,776 to 37,735. The mantra driving this inaction, has always been "we cannot tell which badgers are infected. "